With the closing of MJC Archery Macomb, the JOAD/Learn to Shoot program is temporarily suspended until a new location can be secured. Please watch this page, and the Facebook page for updates as they become available. New Hours for JOAD: Team sessions are 2-3:45. Learn to Shoot (formerly Beginning/Intermediate) 4-5:15. Check for updates/cancellations/important information here, on the Facebook page, or look for an email. 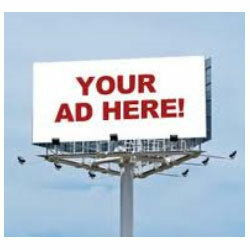 Sign up for our mailing list at the bottom of this page. Class is in session every Sunday unless otherwise posted either here or on Facebook. In case of pending inclement weather resulting in a cancellation, the coaches will make every effort to contact current members. Email Coach Ava at JOAD@royaloakarchers.org if you have any questions. Marked 3D: Detroit Archers on June 15. Field and Hunter: Multi Lakes Conservation Association on June 29. Check www.tcaaarchery.com for links, details, and results. MAA Tournaments and their Registration forms are at http://maaforms.webs.com/ until the new MAA website is complete. Check their Facebook page for updates. Tournament dates for 2019 to be posted as soon as MAA makes the announcement. The Junior Olympic Archery Development Program (JOAD) of the Royal Oak Archers is sanctioned as an official Olympic training program of USArchery for the purpose of training youth in the art, sport and discipline of archery.The program offers training in compound and recurve (Olympic style) bows and the disciplines of target, field and 3D archery.Youths may participate in the JOAD program through the calendar year of their 20th birthday. While there is no minimum age for participation, it is recommended that children do not begin the program until they are able to follow directions and abide by safety rules. The Adult Archery Program (AAP) is the partner program to JOAD and offers training to adults age 20 and above, concurrently with the JOAD class. There is no maximum age for this program and offers an opportunity for individual adults and families to learn and enjoy the sport of archery. New archers may attend 8 introductory classes. Club equipment is available for rental during this period. After week 8, archers deciding to continue in the program must join Royal Oak Archers and order their own equipment if they have not already done so. Consistency is vital for the developing archer, thus weekly attendance is recommended. Discounts are available for Royal Oak Archers members (must show proof of membership). All archers must wear closed toe shoes as arrows do sometimes rebound if misfired. This is a safety rule and is not negotiable. Athletic shoes or boots are preferred. Archers should wear close-fitting shirts and tops with no strings, pins, or anything that can catch on a bow string. Long hair must be pulled back. Small earrings are fine, but hoops and anything that dangles are not permitted. Archery is a year-round sport. All classes and tournaments are indoors from October through April. From May through August, weekly beginning and indoor classes focus on form while Team members have the option of shooting at the club to prepare for outdoor events. or continuing form work indoors. JOAD and Intro to Archery take the month of September off. Beginner: This class introduces archers to the sport of archery. All new members must begin with this class unless waived by the Head Coach. Archers learn basic form, etiquette and rules. Archers have the opportunity to experience shooting recurve and compound bows if they so choose. Each student receives individual attention in class. Our young shooters often experience increased academic grades at school because of the discipline and mental preparedness taught in this program. 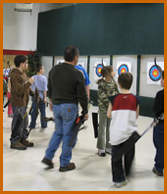 Adults are encouraged to try archery and enjoy shooting as a family. As students progress, it is expected that students join Royal Oak Archers and begin purchasing their own equipment. Coaches will help guide the new archers during their purchase of new equipment and the process of obtaining club membership. Intermediate: Archers work on their form, technique and equipment care specific to their discipline. They learn the rules associated with the various forms of competition and may begin club, regional and state competition (with instructor permission). Archers must have their own equipment to compete, and be a member of Royal Oak Archers. JOAD (Junior Olympic Archery Development Program): This program prepares archers for all forms of competition. Competition is stressed and winning attitudes are common at Royal Oak Archers. Focus is on advanced shooting techniques, mental preparedness and equipment adjustment and maintenance. Students admitted to this class are part of the JOAD club team and are expected to participate in tournaments. Archers in this class can compete at the national level. JOAD archers must be members of Royal Oak Archers and USArchery, and own their own equipment. When eligible, senior archers may receive level 1 coaching training and begin supervised coaching in the beginner’s class. 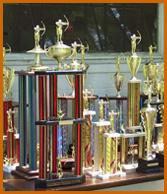 State tournaments (State Archers of Michigan (SAM) and Michigan Archery Association (MAA)). 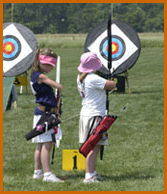 National tournaments (USArchery, National Field Archery Association (NFAA)).